[ROM] MIUI 9.5 Global Stable ROM V9.5.3.0.MHOMIFA for Redmi Note 3 released, download now! [ROM] MIUI 9 Global Stable ROM for Redmi 2/Prime released, download now! [ROM] [Warning] Do Not Clear Google Services Framework For Faster Updates! [ROM] MIUI 9 Global Stable ROM V9.2.4.0.MHOMIEK for Redmi Note 3 Released, Download Now!! [MIUI Review] How to use MI Cloud to find your lost Xiaomi phone? 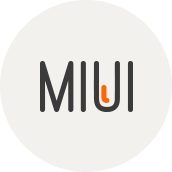 [ROM] where to get MIUI 11 update for my MI5 pro?